← Published in the Fall Issue of Take Ten!! This is an incredibly fast and easy way to spruce up that corner of your home that needs a little something. All you have to do is go to Pinterest, search “printables”, and 100’s of options will come up. 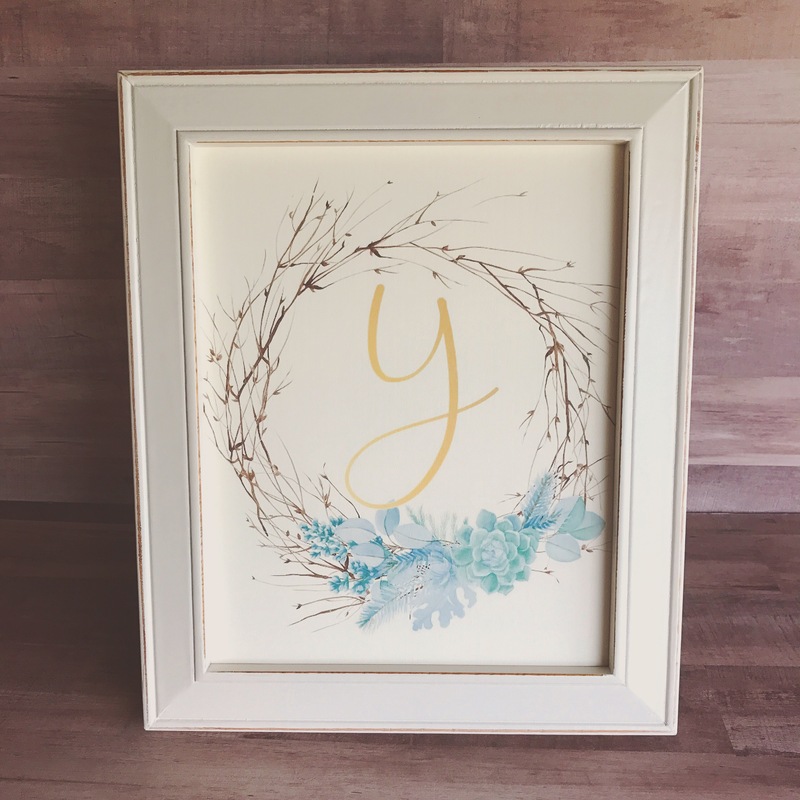 You’ll find everything from farmhouse prints, to kitchen themed options, to florals, to subway art, to monograms like this one that I printed. You can find the link to this monogram wreath here. I printed the wreath on card stock, trimmed it to fit my 8×10 frame, and that’s it! So easy! I spent way more time searching for the printable I wanted than printing and framing it. And it will be so simple to change it when I want something new. If you don’t have a Pinterest account, it’s really simple to set up. Just go here and sign up. I get so much inspiration on so many things! I apologize for how much time you may spend perusing this site! 🙄 But it truly will give you so many ideas – the recipes alone are worth it!